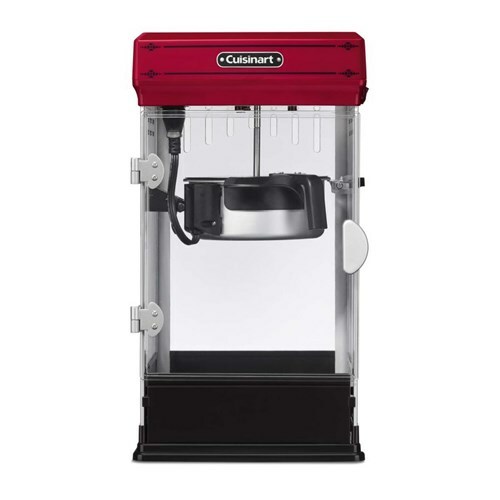 The CPM-28 is a popcorn maker that makes 10 cups of popcorn within few minutes. It has removable non-stick kettle that needs no heat up time. The popcorn maker has a tilt door for easy access to popcorn. Popping a batch of healthy and delicious popcorn has been made easy thanks to the one-switch operation. The Cuisinart CPM-28 has many exciting features for users of all types. You can extend the lifetime of your Cuisinart CPM-28 with the purchase of a FactoryOutletStore Factory Protection Plan. 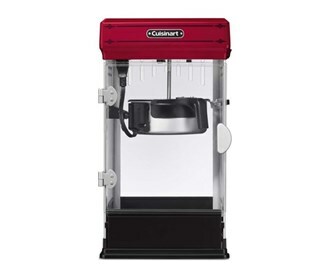 See the Cuisinart CPM-28 gallery images above for more product views. The Cuisinart CPM-28 is sold as a Brand New Unopened Item.